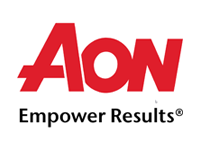 Client Interventions & Results » Mark Donovan & Associates Ltd.
A group of top performers in the business were identified. 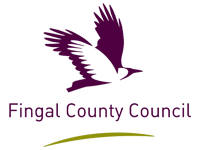 The aim of this project was to develop this group so that they would be in a position to take on more senior leadership roles within the Virgin Media organisation both in Ireland and abroad. Mark worked with the senior team to create a development programme that would help this group take on more senior roles. Within two years of completing the programme, 45% of participants were successfully placed into leadership positions within Virgin Media Ireland and the wider European business. To meet the organization’s stretch goals around marketplace competitiveness and employee engagement, the management team needed to go beyond what they had achieved in the past. 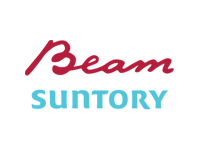 They needed to drive the ‘One Beam Way’ culture throughout their teams and ensure that performance levels were raised. Mark worked with the members of the senior leadership team to help them provide their employees with energy, focus, accountability, and on-going momentum. Together, the leaders and employees removed obstacles that had unintentionally been put in place by their previous systems. Throughout the business, people enjoyed higher levels of productivity, better collaboration across divisions, and more focus on servicing the company’s key customers. 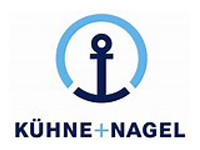 Kuehne & Nagel wanted to strengthen its leadership bench by identifying and coaching a hand-picked group of high potentials. The firm wanted this group to be so strong in their knowledge and abilities, that they could be positioned for higher promotions. Mark worked with a dozen young high performers. He challenged them to think about ways that they could be better in managing, communicating, delegating, and dealing with pressure. Within 18 months, 70% of its participants were successfully placed in leadership positions. The programme was so effective, in fact, that it is now in its fifth year. Due to dramatic industry changes, the association felt the need to redevelop its vision, mission and strategy, so they’d better help the association navigate in their changing marketplace. Mark worked with the association’s key leaders from across its different member organisations to develop a vision and mission that members could stand behind. 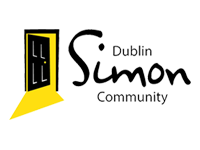 Since the non-profit sector had gone through many changes, the Dublin Simon Community felt the need to create a platform, which would allow their senior management team the time to focus more on the medium- and long-term strategies of the Community, and less on lower level activities and day to day operations. Mark’s role was to work with the management team and accelerate their individual and team business performance to take account of these changes. There was higher staff productivity at all levels, due to more effective leadership practices in place. This allowed senior managers to work at a more strategic level and less on day to day operational issues. 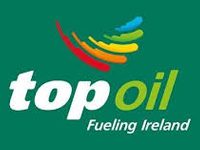 In the last few years, Top Oil’s business had undergone many changes. Leadership wanted to know how their employees viewed these changes, so they sent out a survey. The leaders were impressed with how well these changes were received, and wanted to ensure that the company would continue to build in these areas. Mark worked with the senior leadership team to raise engagement even higher across the organisation. Specific areas were identified and key initiatives were put in place to address these. The staff’s increased engagement led to even higher productivity. 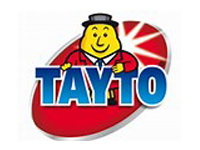 Largo Foods had recently been acquired by Intersnack. To meet the targets of its new parent organisation, Largo wanted to implement a performance-driven culture. Mark worked with the senior and middle management teams to develop a clear understanding of what moving to a performance-driven culture meant — in practical terms — for all the organization’s staff (for example, “We can’t create what we can’t define.”). Mark established a starting point for the necessary changes, designed what the culture would look like, and helped create the momentum that would lead to this culture. Due to the successful launch of this performance-driven culture, the leaders and employees changed the way they looked at their work. Instead of a heavy focus on process, they began focusing on their work’s outputs, and on the impact those outputs had on customers. 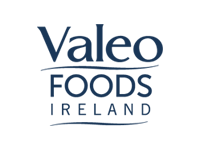 In a twelve month period, Valeo Foods had made several acquisitions, and had altered some of its core business processes. While the Supply Chain was delivering on all its key goals, the division’s director still wanted a deeper understanding of what was going well, what wasn’t going well, and what still needed improvement. Mark worked with all levels of the division to search out any issues that would keep them from the highest performance possible. 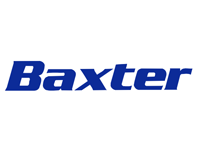 To meet the increased expectations from Baxter’s hierarchy, the Shared Services Centre director felt the need to improve his team’s leadership abilities. Mark worked with the director and his managers to define what improved leadership would mean to the business, and put a development initiative in place to make sure the needed changes happened. The SSC’s productivity increased. They also enjoyed improved energy, morale, and focus, with more effective cross-divisional collaboration. 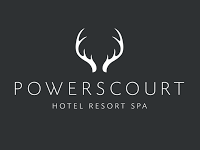 The Powerscourt Resort had undergone significant changes over the previous 12 months. New managers had joined the business and they now worked alongside managers who had been working in the resort for a long time. This led to distinct customer cultures spread across operations. The General Manager identified that he needed to align these cultures and embrace best practices. Mark worked with the senior team to define what the future culture would look like, what the current culture was and how the organisation would move to this new culture. This project was the stepping stone for driving the new ‘customer care strategy’ of the business and creating a ‘high performance innovative customer care culture’. There was higher productivity at all levels of the business due to raised employee customer-care and improved morale. 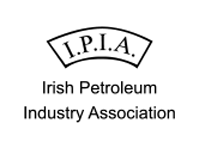 Ireland’s hotel industry was going through severe margin decreases and loss of customers. Carton House wanted Mark to help them reverse this trend. 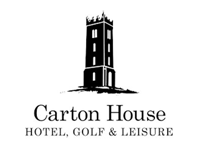 Mark and the hierarchy at Carton House decided that one way of helping them gain business was through strengthening the company’s customer service. To do that, Mark helped create a plan that would get the staff to more strongly focus on the customer, develop their ability to communicate effectively with customers, and improve the overall customer service. They developed the “one resort” concept, which helped every staff member understand how their role, no matter what that role was, affected each guest’s appreciation of the hotel. By doing this, the staff showed increased energy and creativity, and higher productivity in all things customer-related. Also, several new key customer care project initiatives were launched. 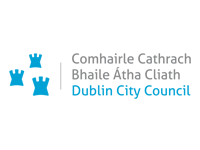 The directors of the division recognized the need to improve on the effectiveness and increase the morale of the first line managers within Dublin City Council. Mark worked with the director and the first line management team to review the barriers and frustrations standing in the way of high performance, and a put a plan in place to address these obstacles. The first line managers enjoyed higher productivity, due to the candid communication frameworks put in place. There was improvement in the working relationship and trust within the overall management team. This process also gave the director the platform to launch key project initiatives. Due to falling revenues and margin erosion across the independent Radio sector, it was identified that there was a need for a forum for idea generation, innovation and sharing of best practices. Mark set up a forum where ideas were shared, innovative suggestions were discussed and best practices were studied across the Radio Sales Industry. There was increased sales for the individual radio stations due to implementation of ideas received from the forum. Industry wide initiatives were launched i.e. Ireland wide radio ads promoting radio as a key advertising medium. Senior leadership felt that back office operation needed to improve its service delivery and review its overall service offering. Mark worked with the team to increase operational efficiency with the back office team and to support the operational managers in dealing with the change management challenges. A more efficient back office service delivery system was put in place that facilitated the division spending more time with their high value clients. There had been many changes over the last few years within the Operations Division and much progress had been made. There was the realization that the division must take the ‘next step forward’. 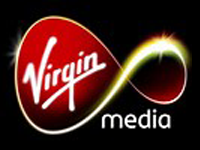 In order to do this, certain areas of development for the Front Line Technicians Group were identified which needed to be addressed with a particular emphasis on the Customer First ‘changing for you’ Virgin Media Programme. Mark worked with the senior operations managers to deliver tangible customer care improvements in the technicians group through effective skills building, role clarification and issue resolution. Obstacles presented by systems, procedures and culture were identified and action plans were put in place to deal with these. Customer First ‘changing for you’ programme became the core of customer care business activities. 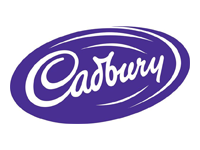 Cadburys Gumbase Division had changed considerably over the past number of years. In difficult market conditions the company had held its own. The company had also had to deal with the takeover from Kraft. There was a need now to push forward and drive standard work and employee led problem solving across the business. Mark worked with the Managing Director to develop an overall company plan for the roll out of standard work and employee led problem solving across the business. There was also the need to assist the individual managers in rolling this out across their departments. There was substantial improvement in engagement and morale, (“We’re all one team now with a common way of working”). This new way of approaching their work led to more time freed up for the senior team to focus on the key long-term strategy.